Waffle sandwiches. I came across these recently and, while it might seem simple, it has become de rigueur in our home. They are fast, easy and surprisingly healthy if you make a few easy adjustments to your pantry stock. You want to buy whole-grain (or at least multi-grain) waffles, all-natural peanut butter (preferably low-sugar or no sugar added) and low sugar preserves (jellies tend to slip right out). Avoid sugar-free anything because manufacturers generally just replace the sugar with chemicals. 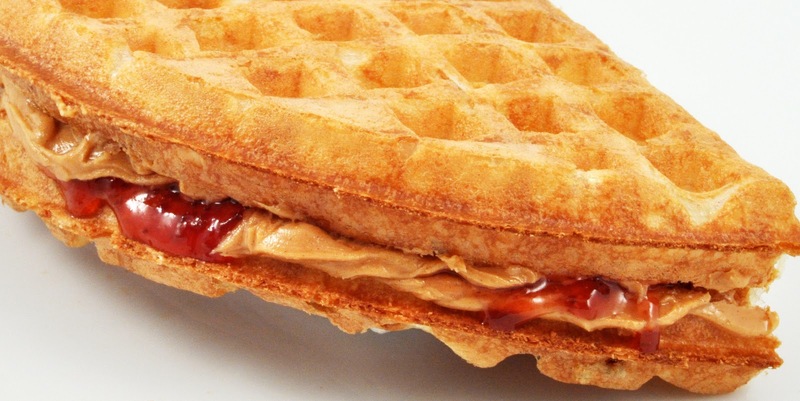 Toast the waffles, spread peanut butter on one and put preserves on the other. Voila! You can run out the door with this breakfast and not feel guilty like you might with a greasy breakfast sandwich from that fast-food place around the corner. Plus, the protein in the peanut butter is a great way to stay full. Best of all, the kids love it and can make it themselves – even our five-year-old.